Combine chicken, mayonnaise, sour cream, almonds, parsley, honey, and salt, tossing gently to combine in a medium bowl. Spread one side of each slice of bread evenly with Thousand Island dressing. Top half of bread slices evenly with chicken salad. 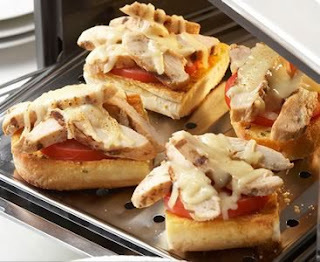 Place 3 slices Swiss cheese over chicken. Top with remaining slices of bread. Spread half of butter on outside of one side of each sandwich. Place sandwiches, buttered side down, onto a griddle or skillet over medium-low heat. Cook 5 minutes, or until golden. Spread remaining butter on ungrilled sides of sandwiches, and cook until golden and cheese is melted.